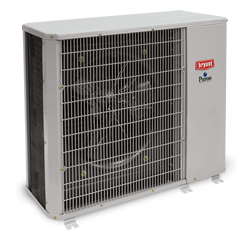 The Bryant Legacy Line Heat Pump will cool and heat your home with high efficiency and at great energy and cost savings all year round. 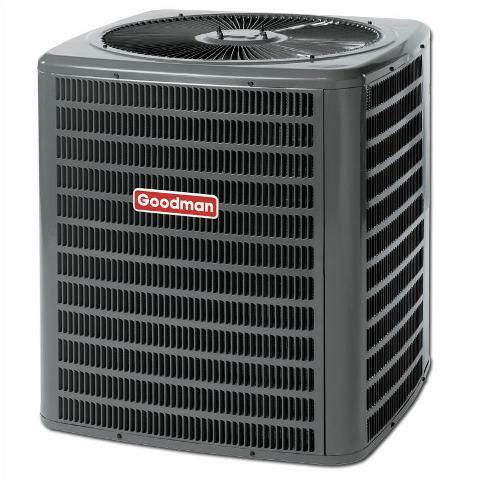 It will cool your home during summer with its up to 16 SEER rating, and then reverse temperatures to cope with the cold winter months, providing you with the ultimate in comfort in your home. There are two models in this range, the 215B and the 213B. 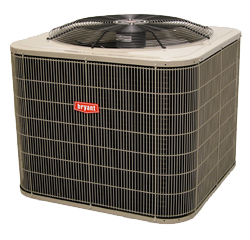 The 215B model operates at up to 16.0 SEER and 9.0 HSPF and affords year-round comfort, as does the 213B model at up to 15.0 SEER/8.2 HSPF. The 215B model unit provides very quite operation at a low 69 dB, and the 213B model is almost as quiet at levels as low as 72 dB. Bryant’s innovative DuraGuard is a protection package that comes standard with both the 213B and 215B models, and it is designed to protect your outside unit from the ravages of extreme weather conditions and increases its durability. Bryant’s Puron Refrigerant used in both models of the Bryant Legacy Line Heat Pump is designed to do no harm to the earth’s ozone layer, as required by Federal law. Puron Refrigerant is approved by the US Environmental Protection Agency as a replacement for R-22. 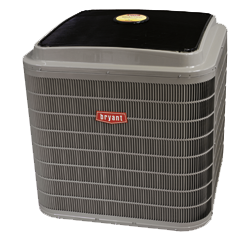 Both models of the Bryant Legacy Line Heat Pump come with Bryants 10-year parts limited warranty upon registration, to the original owner. Bryant’s Thermidistat is far more than a just a digital thermostat; it provides and easy-to-program 7 day, multi-zone settings feature and allows you to control both the indoor temperature and humidity. The unit sports large buttons, a simplified LCD backlit, user-friendly display and a one-button vacation mode. A 3-heat, 2 cool staging and clean filter service reminder make this the perfect thermostat. 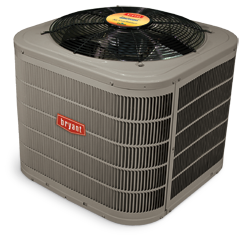 There are various federal grants for which you may qualify when purchasing and fitting a Bryant Legacy Line Heat Pump, due to the lowered heating costs, improved comfort and reduced impact on the environment that this unit provides. Your Bryant dealer will be able to provide you with more information and also assist you to access these grants by advising you as to what system will best suit your needs and maximize your savings. Puron Refrigerant is eco-friendly and will not harm the earth’s ozone layer. Bryant was using this refrigerant, which is approved by the US Environmental Protection Agency as a replacement for R-22, long before Federal law required all manufacturers to phase out ozone depleting refrigerants. Both models come with a scroll compressor which is especially designed to work in a circular motion as apposed to the normal up-and and-down piston action. The cabinet screws are color-matched so that your unit is pleasing to the eye in all aspects. 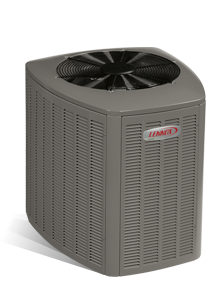 The Bryant Legacy Line Heat Pumps are covered by a 10-year limited warranty, to the original owner, upon timely registration of the new equipment. 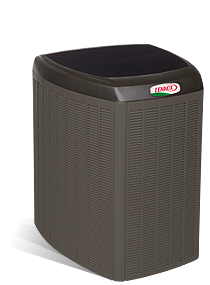 The secondary heat exchanger is covered by a 20-year labor limited warranty. Your Bryant dealer will be able to give you more information regarding optional extended warranties, which may be inclusive of labor. 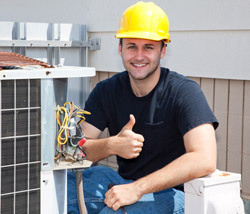 The warranty period is 5 years if not registered within a 90 day period after installation. In jurisdictions where the warranty benefits cannot be conditioned on registration, the period will automatically be a 10-year parts limited warranty. Complete details and restrictions can be found by visiting Bryant.com and reading the warranty certificate.